When the MTA first rolled out the MetroCard in the 1990s, it was widely hailed as a success. For the first time, passengers could transfer from the subway to city buses without being charged a second fare, and the option of unlimited seven- and 30-day passes came into play. 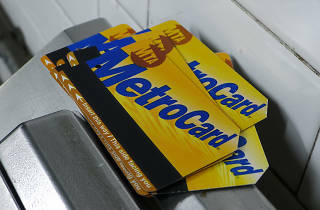 This week, a little more than 20 years after the MTA completed the installation of MetroCard payment systems across all of New York City's subway turnstiles and buses, the authority is expected to sign off on a deal that will push its fare system into the 21st century while phasing out the magnetic stripe technology altogether. On Monday, the MTA's finance committee approved a $539 million contract with Cubic Transportation Systems to design, install, test and implement a new fare payment system for not only the city's subways and buses but also for Metro-North and Long Island Rail Road. Upon its completion, the new method will allow commuters to pay their fares with the tap of a smartphone, contactless bank cards or a new MTA-issued card. Under the plan, Cubic will begin rolling out some functioning payment interfaces for contactless cards and smartphones by early 2019, and all of the city's subway turnstiles and buses will be fitted with the new system by the fall of 2020. By January 2021, the MTA aims to replace the current eTix mobile app with a new one that will allow users to purchase tickets on any of the authority's properties (commuter trains including), allowing straphangers to purchase passes and fares straight from their phones. 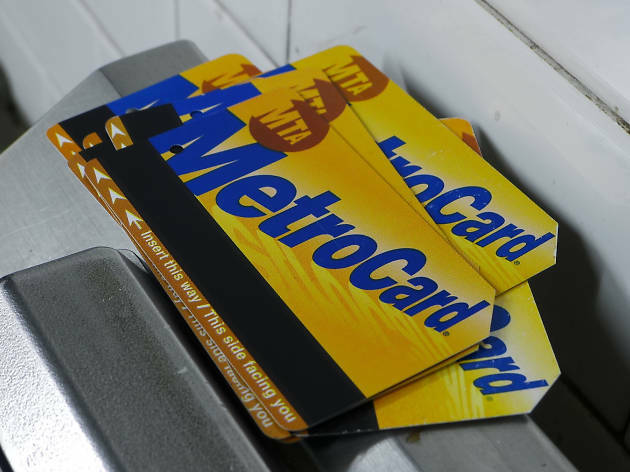 Vending machines for the MetroCard’s successor will roll out during the following two years, and New Yorkers will be able to say goodbye to their MetroCards for good come 2023. It's worth noting that these dates are by no means fixed—the new system is being rolled out in five phases that are subject to a whole host of delays. Even so, the deal is a major step toward modernizing the MTA. He's not wrong. Tap-and-pay systems have already rolled out in subway systems in cities like London, Hong Kong and Chicago. Venturi—whose ReThink NYC plan advocates for consolidating NJ Transit, Metro-North and LIRR into a single, unified service—also points out that the new fare payment system could lead to some intriguing possibilities, such as the ability for subway and bus riders to transfer to LIRR and Metro-North trains within the city without paying an additional fare. Doing so would be a huge deal for New Yorkers living in areas near LIRR or Metro-North stations but far away from the subway. “There is an opportunity to use this new technology to solve a greater good,” he says. If and when a more widespread application of the new payment system is implemented remains to be seen. For now, New Yorkers can start counting down to the death of the MetroCard. There will be at least four years during which the subway and bus riders can use either MetroCards or the new tap-and-pay system, down from the roughly 10 years it took for the authority to phase out subway tokens. The full MTA board will vote on the contract on Wednesday. I guess it would be like what londoners use so called "contactless". By the way, it would surely need more time even 5-10 years for the evolution of getting rid of the metrocard. Take mta bus would be the best choice with off board fare payment. If you use MTA bus as your daily commute then definitely this app is must for you. This app comes real handy and save you from waiting for bus and wondering when will the next MTA Bus Time. Will there still be an option of traveling unlimited on a weekly or monthly basis? Why does the MTA and the media rewrite history? No, MetroCard was not a success when it was rolled out. First, it was at least ten years behind schedule and a huge failure when it was rolled out. About ninety percent of riders refused to use it for the first few years insisting on staying with coins and tokens. It wasn't until MetroCard Gold which allowed free bus subway transfers was unveiled several years later, did riders switch over en masse to MetroCard. is that mean we can sharing the same account? lolz or they cancel unlimited monthly metrocard? or do like Hong Kong one point to other point? Talk about Class War. A lot of people do not have credit cards, cell phones or bank accounts in this area. What a horrible idea to completely get rid of the Metro Card. Undeniably discriminatory and class bigoted. Needless to say, this will hurt People of Color the worst. Meet the new racism in NYC, same as the old racism. The wealthy use economics to be racist instead of language. "the new method will allow commuters to pay their fares with the tap of a smartphone, contactless bank cards or a new MTA-issued card. " " Cubic will begin rolling out some functioning payment interfaces for contactless cards and smartphones by early 2019"
"the MTA aims to replace the current eTix mobile app with a new one that will allow users to purchase tickets on any of the authority's properties"
"Vending machines for the MetroCard’s successor will roll out"
@Adam S @Tony B And this is why some people stay in the lower class. They can't read and just react emotionally to everything. This is a huge quality of life improvement for everyone.